This inventory list is much more then just an inventory list. 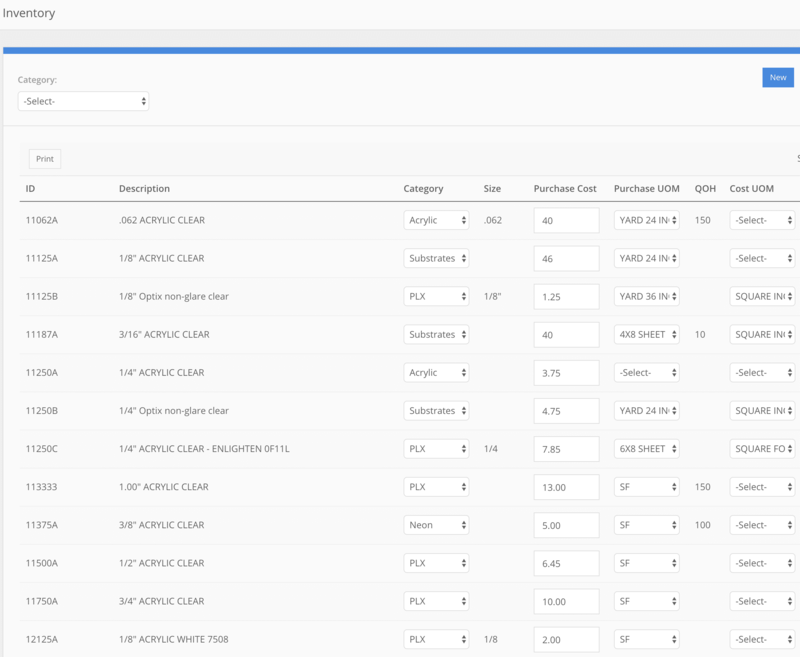 We have added components to the inventory list so you can track when you last updated the pricing for an item, the cost of the item, and the quantities you have on hand. With V Sign Software your purchaser will be able to keep real-time accounts of inventory levels. Physical inventory audits have you running for cover? After you get V Sign Software into your house, you will not need to be concerned. Taking control of your inventory will have your controller happy and your book keeping that much more accurate.